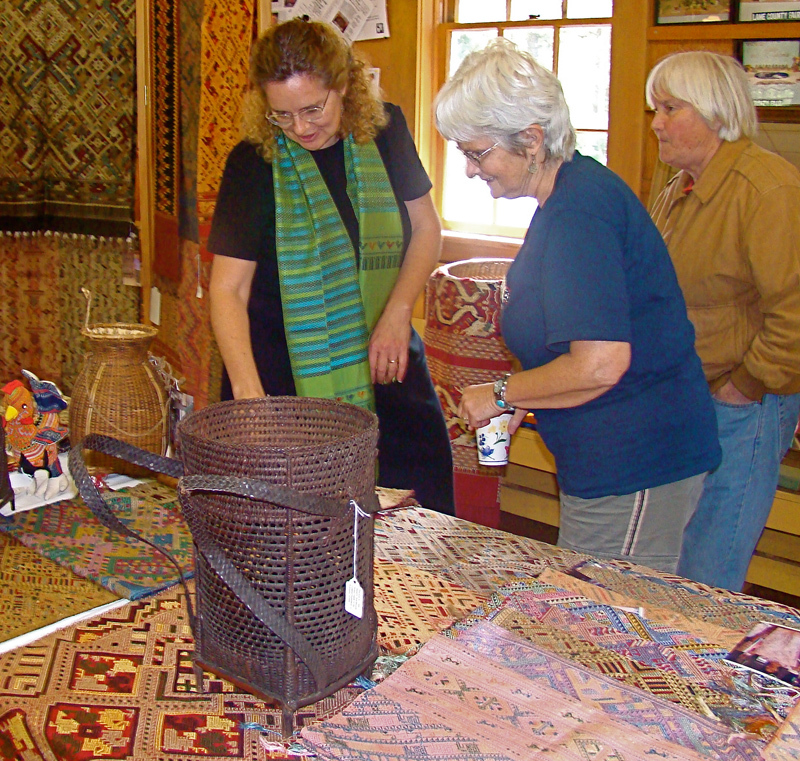 In addition to our showroom in Eugene, Above The Fray: Traditional Hill Tribe Art has a variety of venues it participates in that provide an opportunity for us to educate and sell to the public. Our "Out-of-the-Showroom" schedule is below. We enjoy participating at weaving and fiber conferences and Weaver's Guilds events where we have a "booth-sized" opportunity to educate about and sell traditional hill tribe textiles. Many of these events are free, and admission often grants people access to many educational and workshop events as well as a variety of vendors. We also host our own event, "Fine Silks and Tribal Art," which has annual shows in Portland, Sacramento, and Eugene in November and December. These personal events, each of which is "auditorium-sized," allow us to share our full selection of textiles, baskets, jewelry, ritual art - and more! "Fine Silks and Tribal Art" is free to attend. People often comment that "Fine Silks and Tribal Art" and our conference booths feels like a visit to a living museum - where one can touch and even buy the items! Many spend hours perusing the eclectic variety of textiles and other wares while learning about the diversity of hill tribe cultures and art. We encourage you to join us at one of our events - and be dazzled! Customers	and	friends in	Eugene are	always	welcome	by	appointment	at	our studio/gallery. Please	call	541-485-9386,	or	email	maren@hilltribeart.com. June 21, 22, 23: Washington D.C.
"Silk Weavers of Xam Tai"